Shrewsbury Webs - Shrewsbury Websites is bringing Shrewsbury leaflet delivery into the 21st century by offering partners the option to provide free Shrewsbury leaflet downloads, flyer downloads, menu downloads etc. Partners are invited to supply menus, leaflets and flyers for uploading to our server. 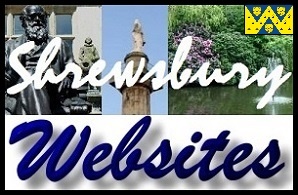 Shrewsbury leaflet downloads (links to the uploaded files) will be provided from partners listings within Shrewsbury Webs. Leaflets can be changed at any time (charged at £10 per upload) or simply left online as a source of permanent promotion. Shrewsbury leaflet downloads should be viewable on Computer, Tablet or Mobile Phone and should be printable. For this reason we recommend that they are supplied as PDF or JPG files. Please Note; it is intended that users should be able to save or print a leaflet, menu or flyer which they download. Obviously; if saved to a mobile device, the leaflet will be permanently available for viewing. Please also note that we do not hand-deliver leaflets, flyers or menus in Shrewsbury. We believe that digital leaflet delivery is far superior to postal leaflet delivery. Leaflet file size limits will apply, all leaflets will be virus checked, leaflets which link to external sites will not be accepted, a payment of £10 per file is payable upon order acceptance (1st leaflet upload - download facility is free when joining Shrewsbury Webs via our paid inclusion facility), there is no limit to the number of times a file can be viewed, downloaded or printed. 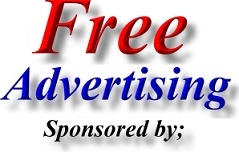 Paid entry inclusion in Shrewsbury Webs includes a single free leaflet download facility. Subsequent modifications and or additional leaflets will be charged at the rate of £10 per instance. 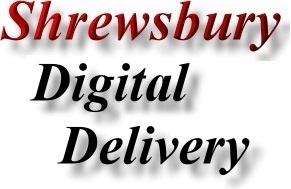 Ie; When a company pays to join Shrewsbury Webs, you will be able you provide a leaflet, flyer or menu and we will upload it to our server - make it available for download. If you subsequently wish to modify or replace the leaflet, or wish to add an additional leaflet, this will incur a charge of £10. we suggest that partners include business address, telephone number and opening times on leaflet downloads, flier downloads and menu downloads.